The group was welcomed by the Filipino inspired lobby and a glass of refreshing welcome drinks. “Maayong adlaw,” the front-desk officers greeted us with wide smiles. 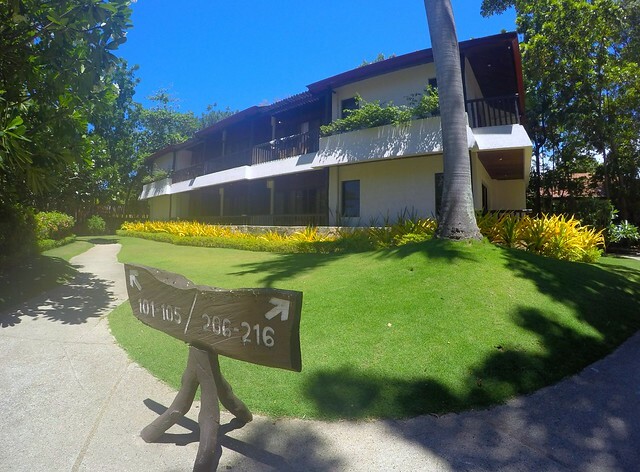 Cebu White Sands Resort and Spa will be our home for a weekend in Mactan Island, Cebu. 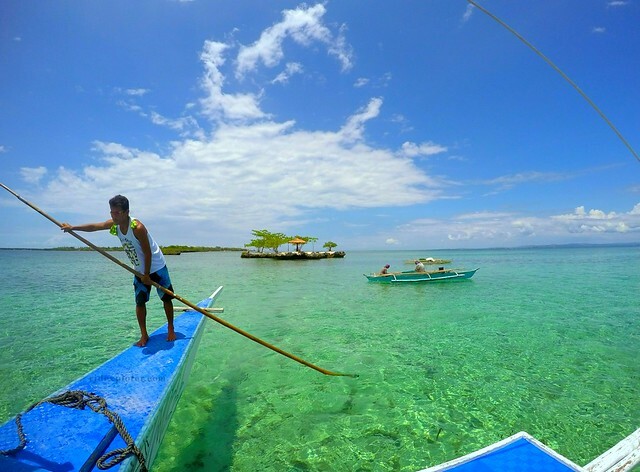 It was summer and visiting Mactan, its beaches, and islets, was one of the things that enticed us. After completing all the necessary details for the check-in form, we were accompanied to our rooms located in their new Mabuhay Wing. 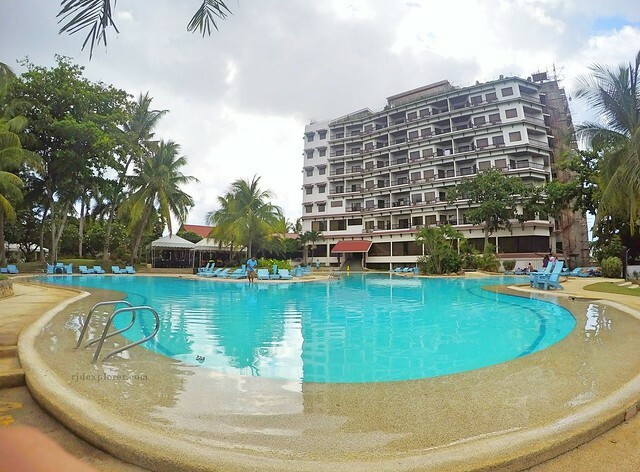 Surveying the resort, my eyes were glued to the irregular-shaped swimming pool that persuades me to leave my stuff at the poolside and plunge right away. I was able to resist it as I was determined to enjoy the comfy beds first. 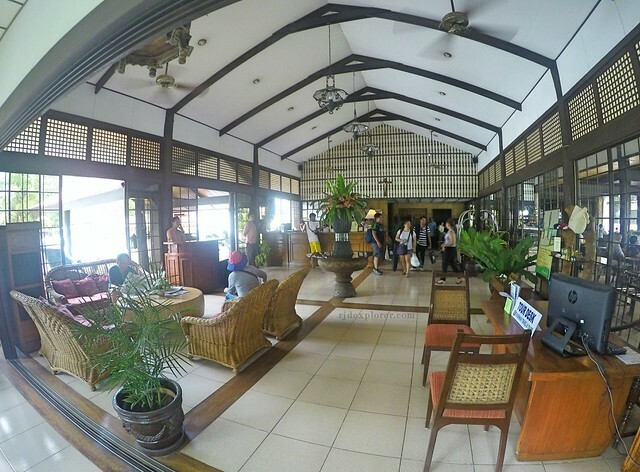 The filipino-inspired lobby of Cebu White Sands. 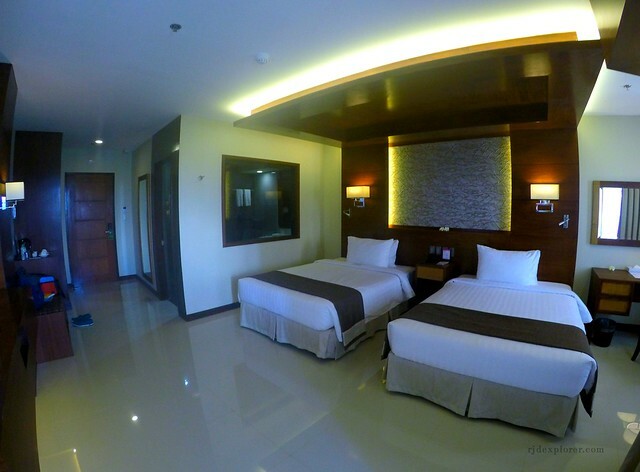 Our Premier Room in Mabuhay Wing. 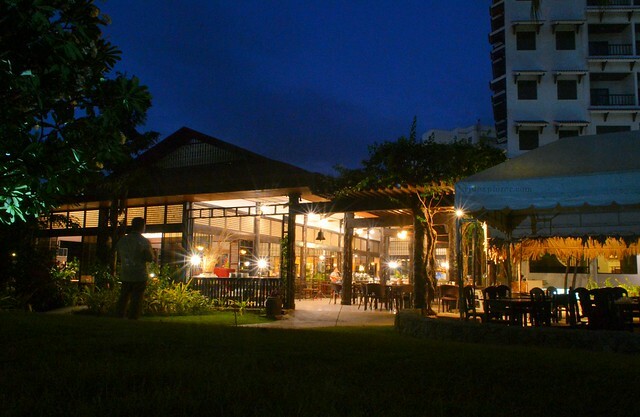 Mabuhay Wing is the newest addition and only high-rise structure of Cebu White Sands Resort and Spa. We were checked into a Premier Room with two queen-sized beds sheathed with white and clean linen beddings. 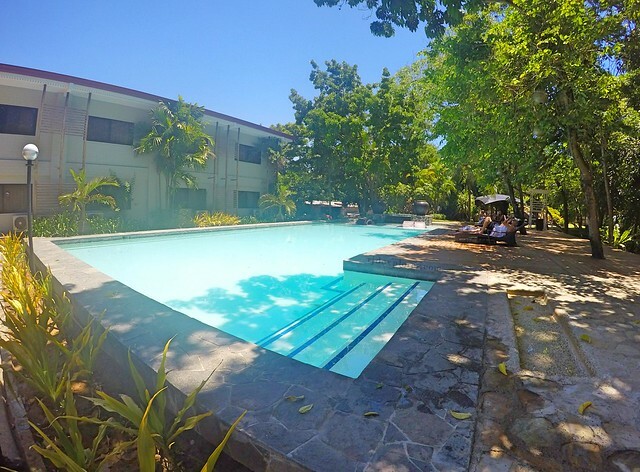 The fully air-conditioned 45-square meter room includes a private balcony with the resort and whole of Mactan as view, has a mini bar, bathrobes and slippers, complimentary bottled water, coffee and tea making facility, 40” flat screen television, two intercom telephones, and toilet and bath with hot and cold shower. To my delight, I found out that we have our own Wi-Fi router for a faster internet connection. Aside from the Mabuhay Wing, they also have the Heritage Wing having 15 rustic yet cozy rooms with wooden floors and bamboo walls. The building is situated near the main pool with its front-yard carpeted with Bermuda grass. 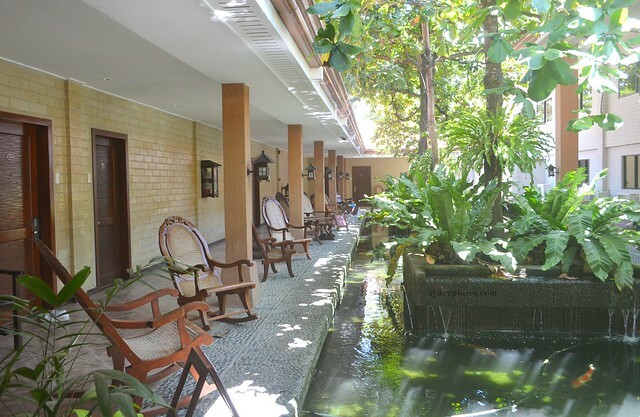 In addition is the Courtyard Wing, having some Koi ponds and another pool exclusive for adults. The wing boasts minimalist spa-inspired rooms. Cebu White Sands’ swimming pools. Courtyard Wing is surrounded by numerous koi ponds. 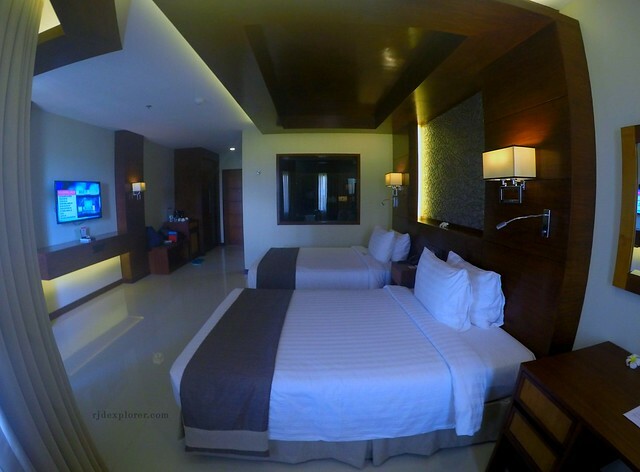 The three wings offer room types like Grand Luxe Rooms and Semi-Suite Rooms. 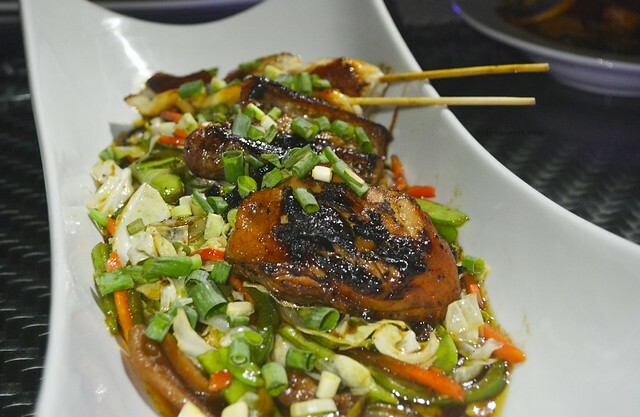 Deluxe Rooms are available on Heritage and Mabuhay Wings, Family Rooms only in Heritage, while Premier and Suite Rooms are being offered on the Mabuhay Wing. 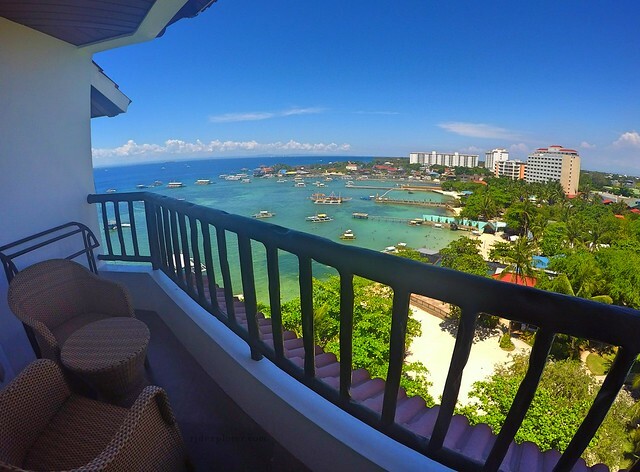 The suites are also subdivided into three: Ocean View, Garden View, and Panoramic View having the same amenities but different views of Mactan. The best view of Mactan Island so far. 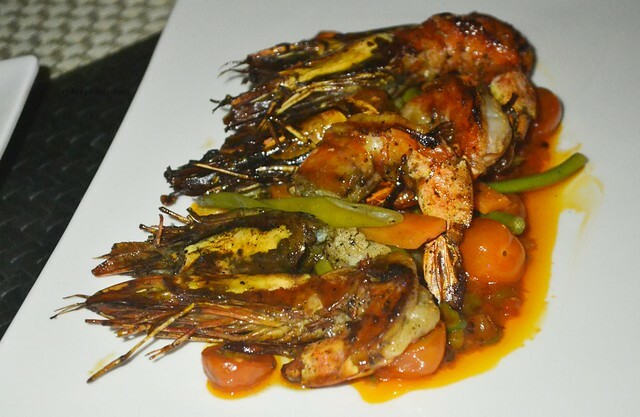 The escapade was intended for a weekend of relaxation, food, and leisure. With the intense heat of summer in Cebu, our room, with the temperature on the lowest degree possible, became our sanctuary. The comforts it offers managed us to stay and rest while waiting for the sweltering summer sun to set. 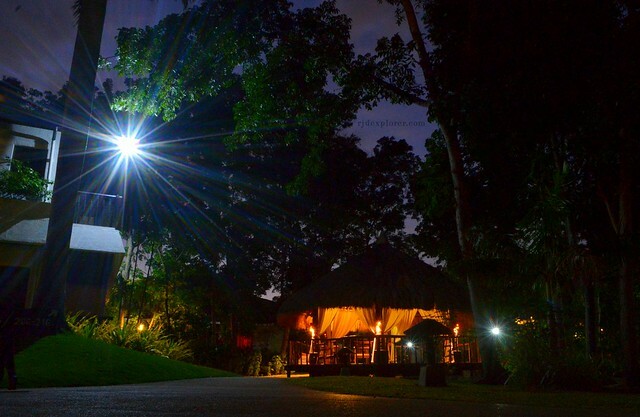 Night photography is a must! 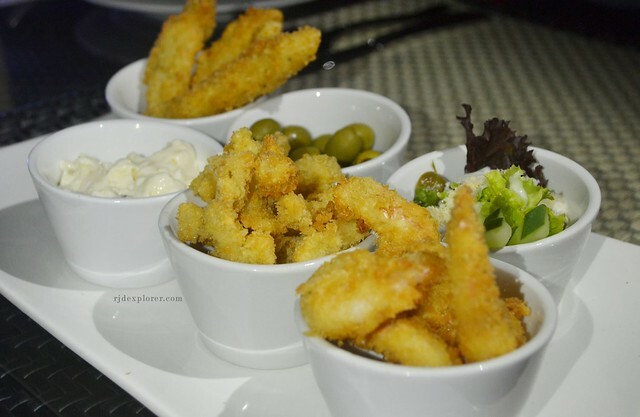 Food was the next thing we searched for and our excitement led us to Room 801. 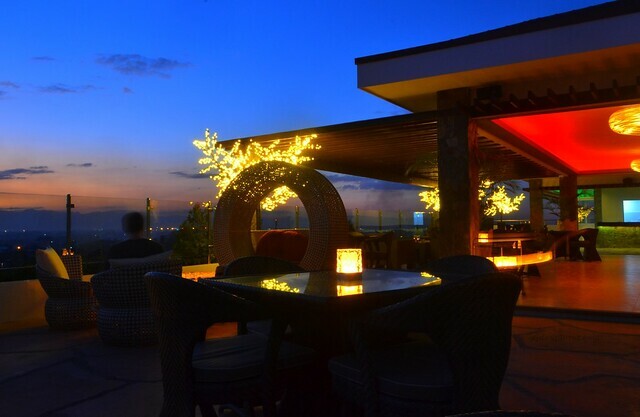 Room 801 is not a room accommodation but a lounge on the roof deck of Mabuhay building that offers a scenic view of Mactan Island and the nearby mainland Cebu. It was a great venue to enjoy happy hour sipping on cocktails and beers while watching the sun paints the horizon. For dinner, we sampled their Tapas Platter (Php420), seafood selection of fish fillet, squid and shrimp, King Henry Grilled Porkchop (Php650), 350g grilled pork chop served with annatto and orange sauce, Grilled Tiger King Prawns (Php560) served on spicy tomato sauce and garden vegetables, Braised Lamb Shank (Php980), and Mizuno Grill Platter (Php850). 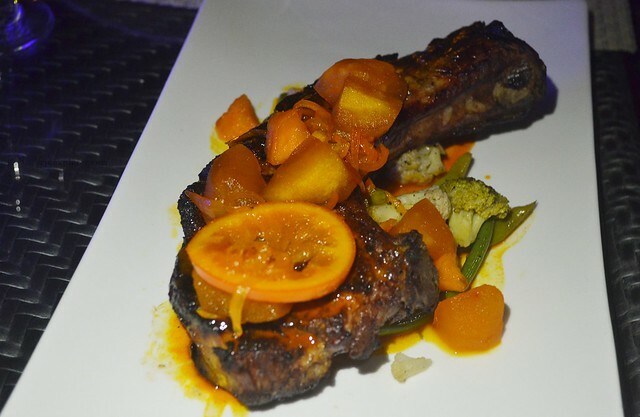 Food was good but it can be improved; the sauce of the pork chop was promising with the natural sweetness of the orange while I prefer the tiger prawns without the black thingamajigs that causes allergy. Beverages include their signature cocktails Blanquita and Tropical Sensation. 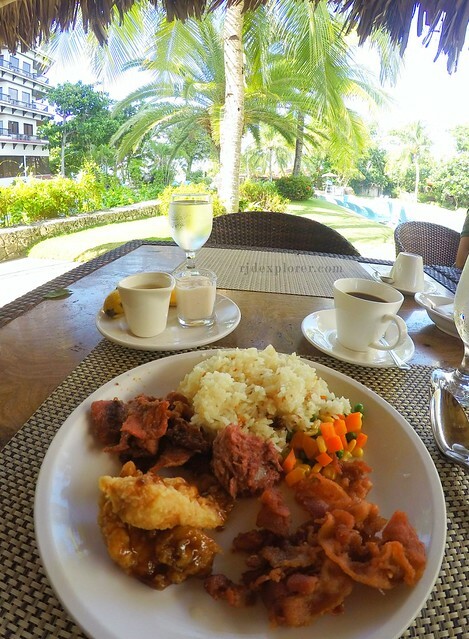 Buffet breakfast is available at Patio Gavino, the resort’s main restaurant located at the poolside that offers a variety of Asian and Western dishes like fish fillet, sausages, stir-fried vegetables, and bacon. 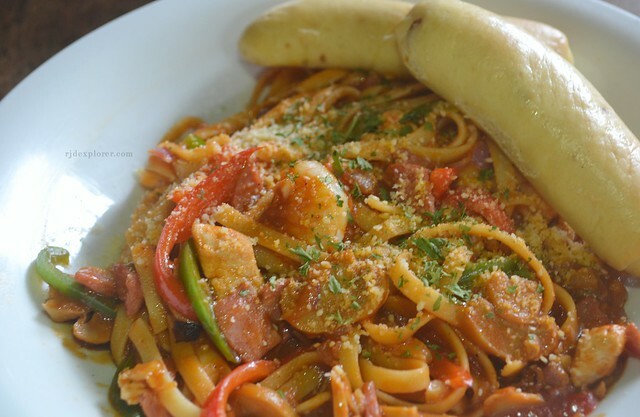 They also provide a considerable spread of pastries as well as pancakes and omelets. 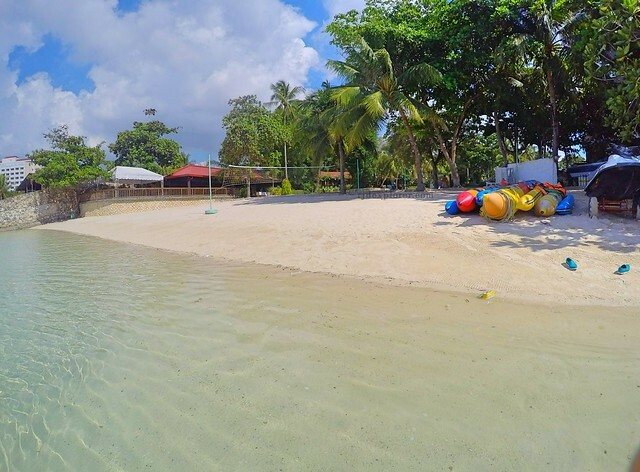 One of the recreation activities the resort offers is a visit to some islands off Mactan like Gilutungan and Olango Island as well as the resort’s private island, Islas Tres Rosas. It was a cloudy Sunday morning yet we found ourselves enjoying the boat ride to Islas Tres Rosas. 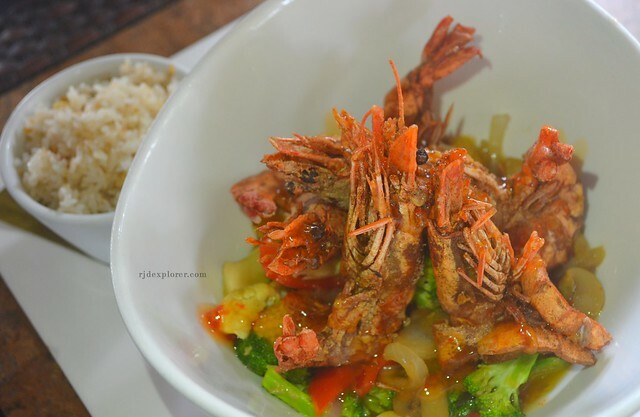 We dropped by Gilutungan’s marine sanctuary first before heading to Islas Tres Rosas where we feasted on grilled pork liempo, prawns, and squid. We left the island before noon. We headed to another marine sanctuary near Olango Island before returning back to the resort. Probably the best part of our stay in Cebu White Sands is the Anahata Spa experience where we enjoyed a soothing body massage. The Anahata Signature massage starts with a foot bath followed by the selection of the scent to be used: Deep Healing, Sensual Spice, Floral, and Musk. The massage is Swedish-inspired and literally soothes the body with its long, gliding strokes and gentle stretches. 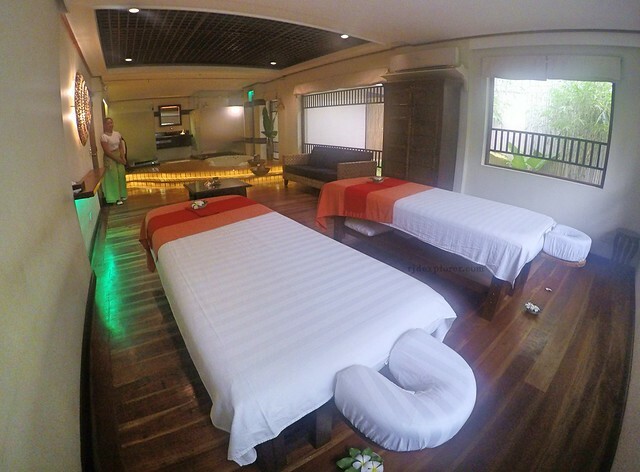 Anahata Spa has four rooms: 3 couples rooms and one single shared room. One of Anahata Spa rooms. 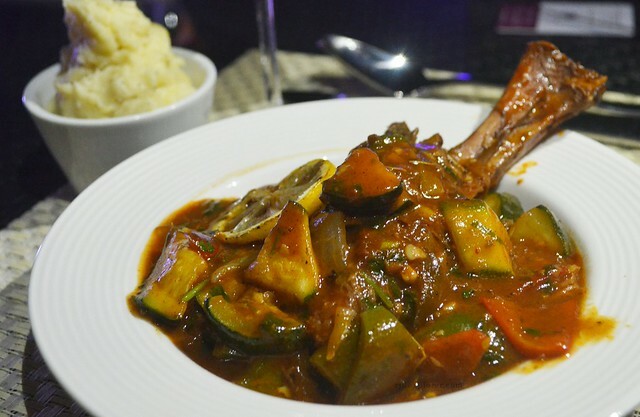 We were sure that we didn’t want to leave the resort but it was time to go and we just rewarded ourselves with a hearty lunch at Patio Gavino. 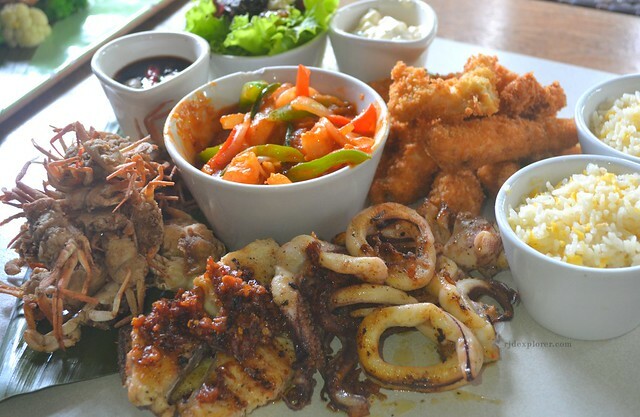 We ordered Cajun Jambalaya Pasta (Php420), Asian Style Pasta with Chicken and Shrimp (Php340), Wok Fried Jumbo Prawns (Php490), and Seafood Fiesta Platter (Php970) with grilled squid, shrimp gambas, grilled tangigue, fish fillet, and crispy crablets. Weekend getaways like this relieve a corporate slave having an eight-to-five work. 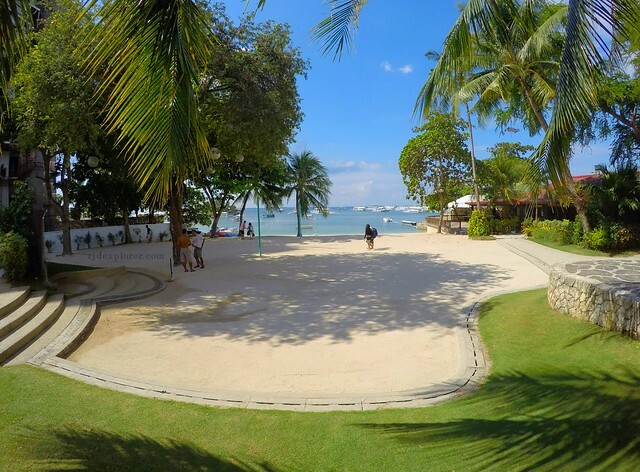 Our goals on our stay in Cebu White Sands Resort and Spa were all achieved from a lavish stay to luscious food, and a fun-filled island hopping activity. A weekend well spent in the hands of a resort that brings leisure and respite to anyone who comes to their neighborhood.